Building buzz: You can't win an Oscar if you're not nominated, which is why mid-December's high profile awards noms matter so much. Last week's Screen Actors Guild (SAG) noms and the Hollywood Foreign Press Association's(HFPA) Golden Globes noms are well established bellwethers not for who will win Oscars, but for who's likely to be nominated. Getting into the race is the name of the game for all Oscar hopefuls and landing SAG or Globes nods a few weeks before Academy members start markingtheir nominations ballots is a tremendous advantage. It's not because Oscar voters just echo what these groups announce. Rather, it's that films that get into the SAG and Globes contests automatically become must-see movies for the Oscar crowd. You might thinkthat Academy members see all the year's Oscar-worthy films, but that's not the case. To begin with, people who make movies spend a tremendous amount of time doing so and, typically, they have little opportunity to see films when they hit theatres. That means they have so many movies to see in order to make nominations in late December that there's not enough time to attend all the screenings or view every DVD screenerthe studios provide. The pressure to fill out nominations ballots coincides with the time stress many Academy members are under in late December when they're leaving town for holiday vacations. As a result, the SAG and Globes noms are a magnet for Academy eyeballs. These already nominated films become the ones they've got to see before filling in their ballots. On the SAG front, that certainly includes the nominees for best ensemble cast, the Guild's equivalent of best picture: "Birdman," "Boyhood," "The Grand Budapest Hotel," "The Imitation Game" and "The Theory of Everything." SAG's acting noms will also be scrutinized by Academy members. Lead male actor: Steve Carell ("Foxcatcher"), Benedict Cumberbatch ("Game"), Jake Gyllenhaal ("Nightcrawler"), Michael Keaton ("Birdman") and Eddie Redmayne ("Everything"). Gyllenhaal's unexpected SAG nomplus his Golden Globe best actor-drama nod should work to his advantage by getting Oscar voters to look at a film they might otherwise have skipped. It probably helped with SAG that Gyllenhaal lost about 30 pounds to do his role, something that would be particularly meaningful to fellow actors. Lead female actor: Jennifer Aniston ("Cake"), Felicity Jones ("Everything"), Julianne Moore ("Still Alice"), Rosamund Pike ("Gone Girl") and Reese Witherspoon ("Wild"). The SAG noms for Aniston, Pike and Witherspoon – who also are Globes nominees for best actress-drama -- should help focus Academy attention on their films, which didn't resonate with the critics groups earlier this month. Supporting male actor: Robert Duvall ("The Judge"), Ethan Hawke ("Boyhood"), Edward Norton ("Birdman"), Mark Ruffalo ("Foxcatcher") and J.K. Simmons ("Whiplash"). Duvall's SAG nomination– plus his Globes nod for supporting actor -- should also get Academy members to look at "Judge," another film that didn't get applause from the early critics groups. Supporting female actor: Patricia Arquette ("Boyhood"), Keira Knightley ("Game"), Emma Stone ("Birdman"), Meryl Streep ("Into the Woods") and Naomi Watts ("St. Vincent"). The SAG noms for Streep – who also nabbed a Globes nom -- and for Watts will also help put the spotlight on their films, which didn't make the early critics lists. As for the Globes, the prime race for best motion picture-drama includes: "Boyhood," "Foxcatcher," "Game," "Selma" and "Everything. "All of the nominees except for "Selma" are also in SAG'S ensemble cast race. The HFPA also nominated five best picture-comedy or musical films, including: "Birdman," "The Grand Budapest Hotel," "Woods," "Pride" and "Vincent." That genre split should work in favor of the very hot "Birdman" since it won't be going head to head in the Globes with the also very hot "Boyhood." SAG doesn't have a best directing category, but the Globes does, with noms going to: Wes Anderson ("Budapest"), Ava Duvernay ("Selma"), David Fincher ("Gone"), Alejandro Gonzalez Inarritu ("Birdman") and Richard Linklater ("Boyhood"). Duvernay's nod dramatically boosts "Selma's" prospects since films that are up for both best picture and directing tend to have better chances of winning. Neither SAG nor HFPA voters showed much love for big commercial films from the major studios – although there were Globes noms for "Woods" (Disney) for best picture-comedy or musical, "Gone" (Fox) for best director (David Fincher) and actress-drama (Rosamund Pike) and "Annie" (Columbia) for actress-musical or comedy (Quvenzhane Wallis). Missing from the HFPA's best picture races, however, were some major studio releases that might have made the cut in past years --like Christopher Nolan's "Interstellar" David Ayer's "Fury," Clint Eastwood's "American Sniper," David Fincher's "Gone Girl," Angelina Jolie's "Unbroken" or Peter Jackson's "The Hobbit: The Battle of the Five Armies." On the other hand, in 2004 Jackson's "The Lord of the Rings: The Return of the King" won 11 Oscars, including best picture and directing. It also won SAG's ensemble cast award and Globes for best picture-drama and director. Oscar's nominations balloting starts at 8:00 a.m., Dec. 29 with many Academy members voting online and others mailing in traditional printed ballots. The nominations voting ends at 5:00 p.m., Jan. 8. That's not a very long voting window to begin with and it's even shorter for the many Academy members who will be away from before Christmas through New Year's weekend. In other words, if you get back home Sat., Jan. 3 and need the weekend to unpack and catch up, you've only got three or possibly four days left in which to watch the films you think you really must see in order to vote. That doesn't allow for a lot of viewing, which is why it makes sense to turn to the pictures other groups have already said are awards worthy. This will be SAG's 21st annual awards so there's a ton of data that could be picked apart to show how SAG impacts on the Oscars. But every year brings its own variables and the makeup of SAG's membership has changed since its 2012 merger with AFTRA to form SAG-AFTRA, the Guild's official name now. AFTRA's membership was essentially actors working in TV, radio and commercials while SAG's membership was basically movie actors. So SAG-AFTRA reflects a broader voting base than SAG did in the past. SAG nominations are made by a committee of 2,100 of the Guild's roughly 120,000 members. The entire membership votes for the winners. One factor believed to affectthe results is which films are sent as DVD screeners to the full membership so that everyone can conveniently watch them at home. As the cost of such mailingsis considerable, big studios and their specialty divisions have an advantage over small indie distributors. In any case, looking back at last year's SAG Awards shows how SAG and Oscar can sometimes match up. SAG's ensemble cast awardwent to "American Hustle"while Oscar's best picture was "12 Years a Slave." SAG's best lead male actor award went to Matthew McConaughey for "Dallas Buyers Club. "McConaughey also won the best actor Oscar. SAG's best lead female actor award went to Cate Blanchett for "Blue Jasmine. "Blanchett also won the best actress Oscar. SAG's supporting male actor award went to Jared Leto for "Dallas." Leto also won the best supporting actor Oscar. SAG's supporting female actor award went to Lupita Nyong'o for "Slave." Nyong'o also won the best supporting actress Oscar. In general, the SAG-Oscar match-up pattern in the individual acting categories but not for best picture is also reflected in previous results. In recent years, one factor to consider is that SAG nominates five films while Oscar can wind up with as many as 10 or 11 best picture nominees because of the Academy's byzantine preferential voting system. Nonetheless, a SAG nomination can be very significant in terms of generating an Oscar nom. In fact, the only best picture Oscar winner not to have gotten a SAG nom -- just a nom, not a win -- was "Braveheart" in 1995. There was considerable crossover last year from SAG noms to Oscar noms in the individual acting categories. Among SAG'slead male actors, Bruce Dern ("Nebraska"), Chiwetel Ejiofor ("Slave") and Matthew McConaughey ("Dallas") were also Oscar nominees. Among SAG's lead female actors, Cate Blanchett ("Blue"), Sandra Bullock ("Gravity"), Judi Dench ("Philomena") and Meryl Streep ("August: Osage County") were also Oscar nominees. Among SAG's supporting male actors, Barkhad Abdi ("Captain Phillips"), Michael Fassbender ("Slave") and Jared Leto ("Dallas") were also Oscar nominees. Among SAG's supporting female actors, Jennifer Lawrence ("Hustle"), Lupita Nyong'o ("Slave"), Julia Roberts ("Osage") and June Squibb ("Nebraska") were also Oscar nominees. A big reason that Hollywood takes the SAG Awards so seriously is that actors make up the Academy's largest voting branch – about 1,100 of its 5,700 members. So if a performance resonates with SAG,it also tends to get votes from SAG members who are Academy members. The Golden Globes are an entirely different matter since the HFPA's membership of 82 foreign journalists doesn't vote for Oscars and has its own perspective on what films to celebrate on its very popular annual telecast. Nonetheless, the HFPA's very high profile noms typically influence Oscar nominations because of their hugeglobal media coverage. Last week's Globes noms echoed many, but not all, of SAG's noms and some earlier critics groups' picks, helping to elevate a number of Oscar profiles. Probably the biggest beneficiary of Globes enthusiasm isParamount and Plan B Entertainment's historical drama "Selma." Directed by Ava DuVernay ("Middle of Nowhere"), it stars David Oyelowo, Carmen Ejogo and Tom Wilkinson. "Selma" reportedly didn't score with SAG or the early critics groups because it wasn't finished in time for Paramount to send out DVD screeners. These days, that's a real problem because so many awards voters won't take the time to attend screenings. HFPA members, however, are famous for going to screenings and for holding their own news conferences with talent throughout the year. Luckily, the Globes voters knew "Selma." The result? Globes noms for best picture-drama, director and actor-drama (Oyelowo). Academy members can't help but notice prime nods like those. "Selma's" story is about Dr. Martin Luther King Jr., LBJ and the 1960s civil rights marches. It doesn't go into limited release until Dec. 25, so its reviews and publicity will hit just before Academy ballots are marked. It openswide Jan. 9, putting it in national release with perfect timing for the Jan. 19 Martin Luther King Jr. holiday. "Selma" also has two celebrity producers who are likely to be out working very hard to promote it -- Brad Pitt and Oprah Winfrey, both of whom will be a big help in getting Academy members to see their picture. Academy voters tend to pay more attention than other awards givers do to how contenders perform at the boxoffice. In the current close race between "Birdman," which had four noms from SAG and seven from the Globes, and "Boyhood," which received three SAG and five Globes nods, "Birdman" has the boxoffice advantage. That's because "Birdman" is in 606 theatres while "Boyhood," which opened last July 11,was only playing in 26 theatres last weekend. Its domestic cume is $24.1 million. "Birdman" placed eleventh last weekend, its ninth week in release, with $1.4 million. Thanks to its awards noms, it was up about 15 percent from the previous weekend. 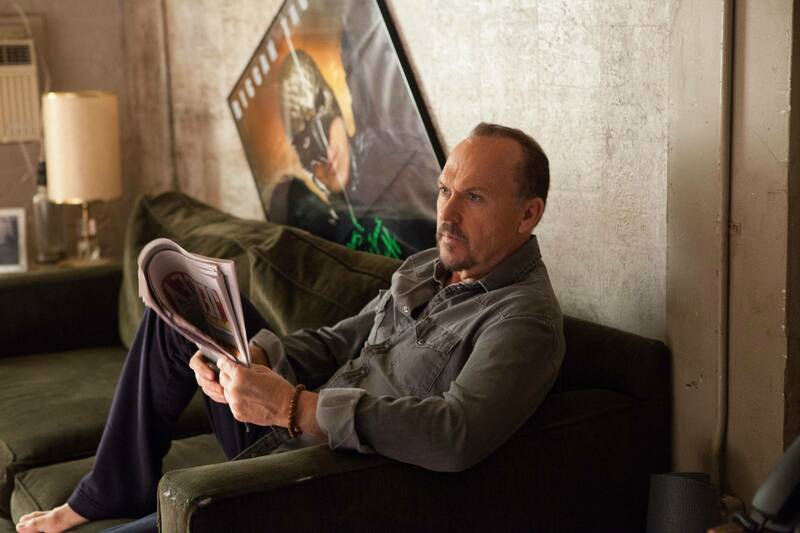 With its cume already at about $20.8 million, "Birdman" should overtake "Boyhood" before long. If "Birdman" attracts a broader audience and its cume grows significantly, that should increase its Oscar potential. Bottom line:SAG and Globes noms are a great cheat-sheet for Oscar voters when they must decide which films to make time to see.